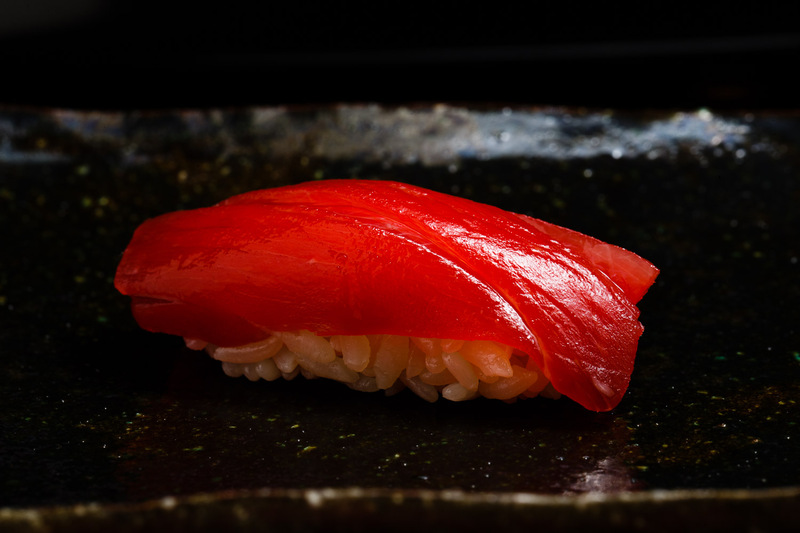 If you are in search for the best bluefin tuna in Osaka, look no further. 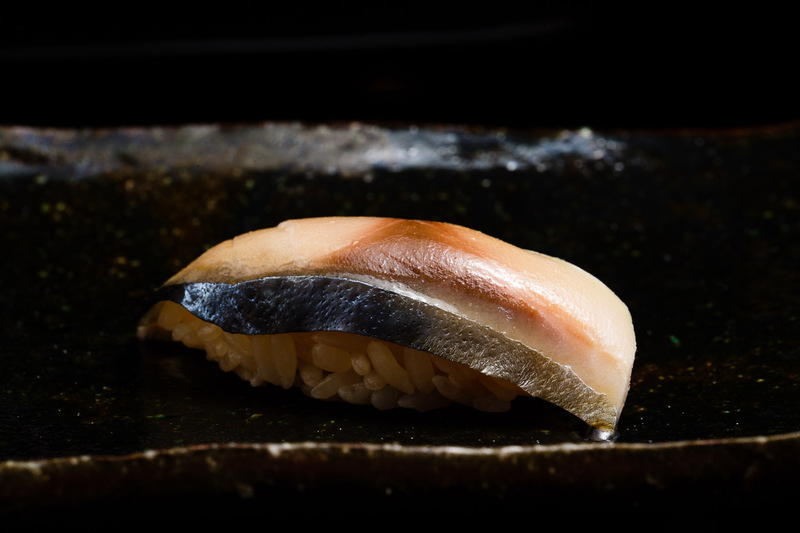 Owned by a young chef that left his long-established family restaurant to test his own potential, Sushi Oga is among the selected few that sources from Japan’s top tuna vendor Yamayuki. Served on a refined collection of antique tableware, be blown away by the quality of each morsel of sushi, presented so perfectly in front of you. 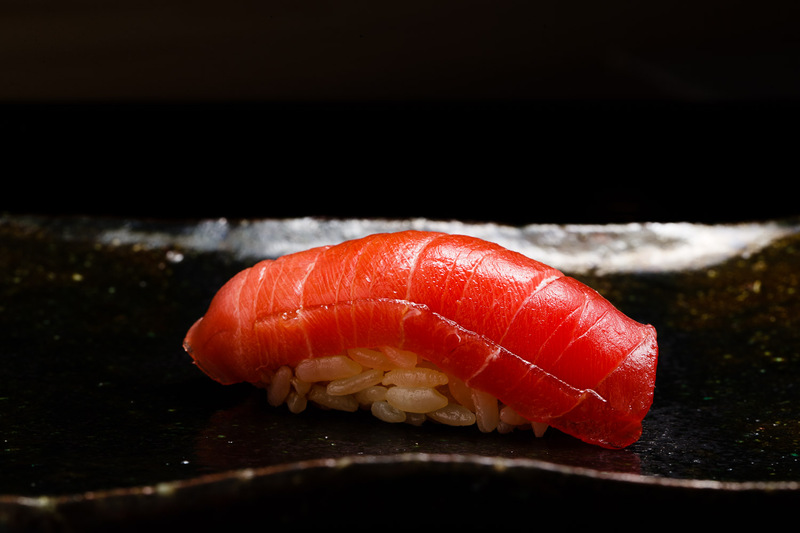 Born as the fourth-generation son of sushi bar Yasuke, Shinichiro Oga opened his own restaurant in 2018 with a passion to serve top-quality sushi centered around tuna. Located on the southern side of Osaka City, the little restaurant sits just across his father’s where he previously trained. 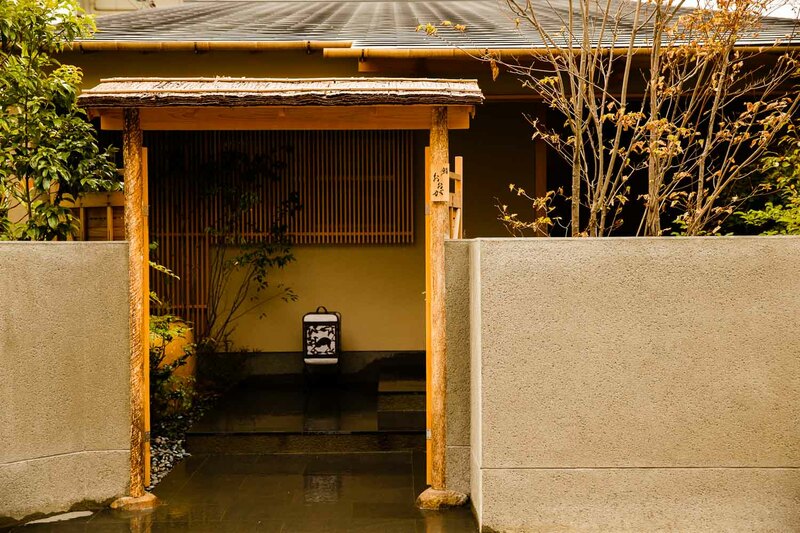 Tucked away behind cream-colored stone walls, the traditional entrance to Sushi Oga entices guests with its beautiful details. Through the wooden gate, you can peak at the stone-paved steps, dimly lit with an antique floor lantern that sits next to a chestnut tree. Inside the wooden hirayazukuri style house, the air is still and peaceful. 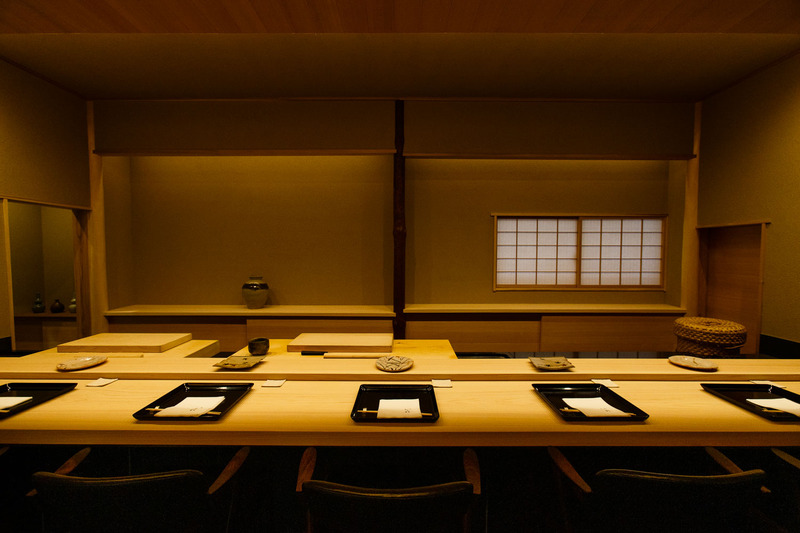 The two-leveled counter, made of kiso hinoki wood, seats just eight guests. In front of each seat, you find an antique plate, each individually designed and hand made by the legendary potter, Rosanjin. The spotlights above have been installed to shed just the right amount of light to bring every dish to life. Oga’s sushi centers around five to six tuna dishes, complemented by an assortment of other seasonal catches and small dishes. The variety of tuna cuts comes from Yamayuki, a famous wholesaler in Tsukiji that has long specialized in the fish. It took visits after visits to convince owner Yukitaka Yamaguchi to start dealing with young chef. Oga’s dedication in the end earned him access to one of the country’s best vendors. Tuna stands front and center of the cuisine at Sushi Oga. 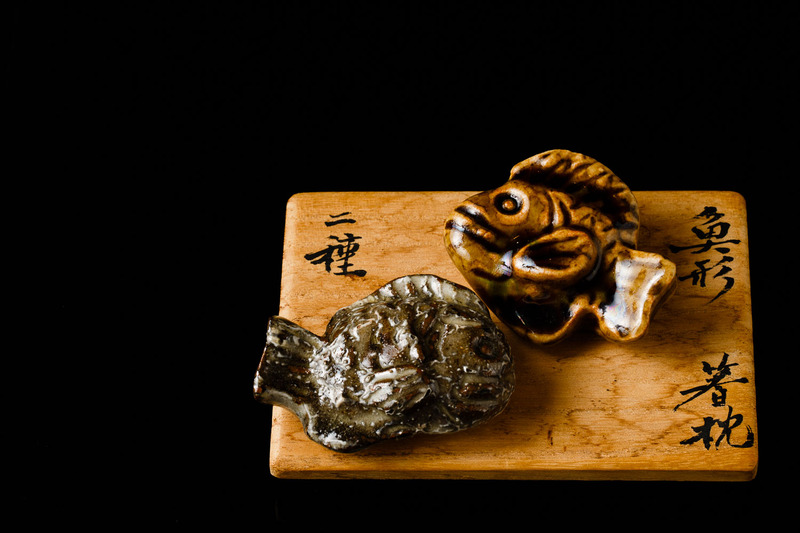 Caught off the shores of Oma in Aomori Prefecture, the selection of five or six different cuts, each so unique in color, texture and flavor, allows guests to savor such a wide variety of the popular fish. Each section is prepared using customized techniques and at slightly different temperature. The chef’s seasonal omakase menu begins with a parade of small dishes like sashimi of Japanese blue crab and white fish. Ankimo, monkfish liver, is steamed, sieved finely and served cold. Fresh catches are grilled over crackling charcoal while in-season vegetables are steamed to bring out their fresh flavors. 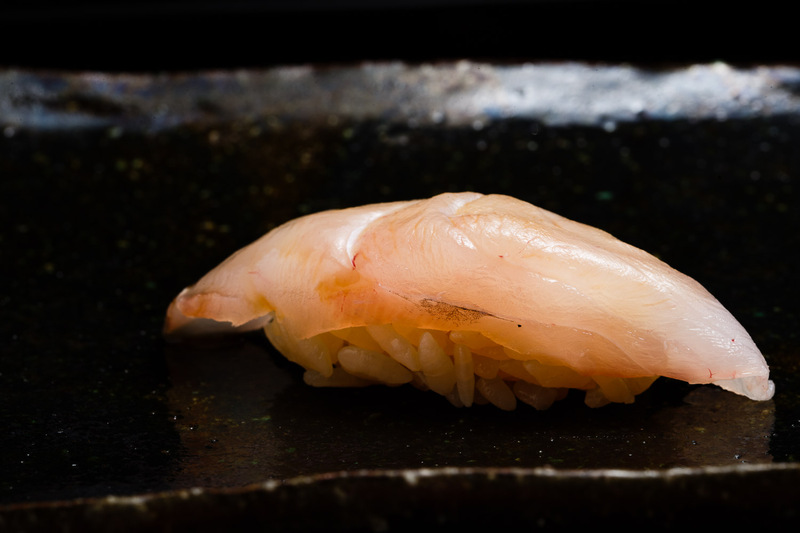 Unlike most other sushi bars that start with white fish, the first nigiri at Sushi Oga is the tuna. The chef likes to start with different parts of the fish, especially from around the back fin. Akami, the meatier part, is flavored gently with a mix of different soy sauces, mirin and sake. 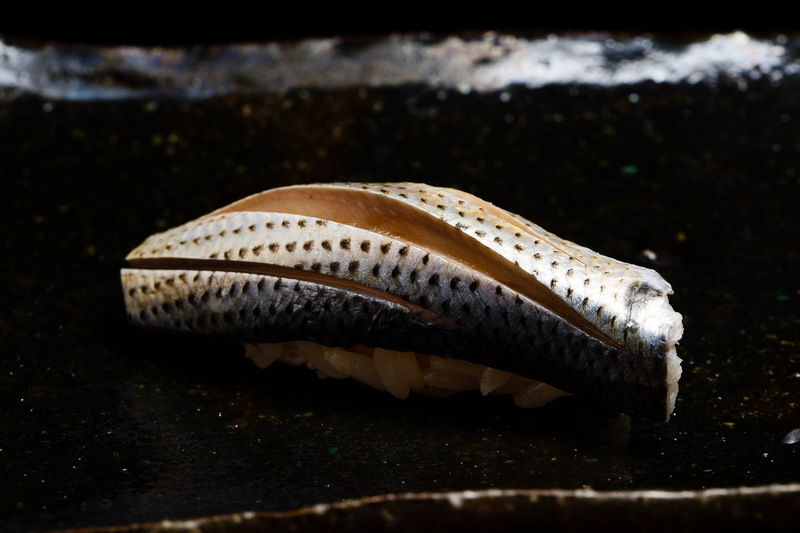 The meal flows through lighter flavored sushi ike white fish and surf clams. Sea bream from Ehime Prefecture has been resting for three to four days and infused with umami of Rishiri kombu. Ink squid is softened by making shallow slits on the surface. Mackerel is prepared using Edomae technique, its flavor tightened using salt and vinegar. Gizzard shad is also salted. Now, a trio of fatty tunas. 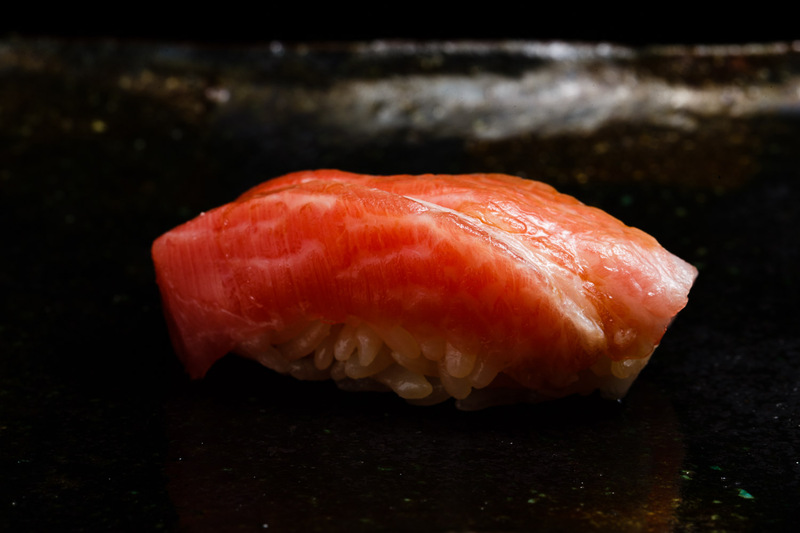 The piece of chutoro is mouthwatering just to look at with the streaks of fat, or sashi, beautifully and equally marbled. 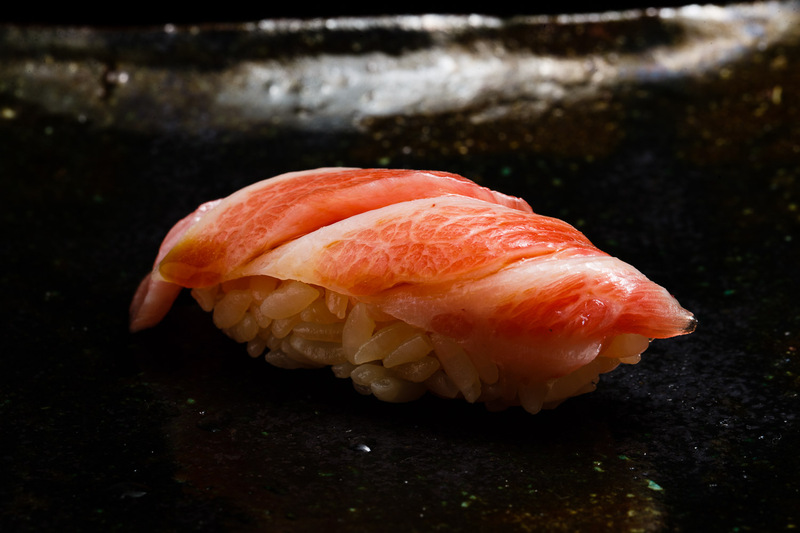 The otoro is close to pink with a perfect balance of fat and meat. Jabara toro, the richest part of the fish, simply disappears in your mouth. Creamy flavors like sea urchin, salmon roe and saltwater eel follow before wrapping up with a negitori maki and sweet egg. Oga procures other seasonal catches directly from local ports like Awaji. 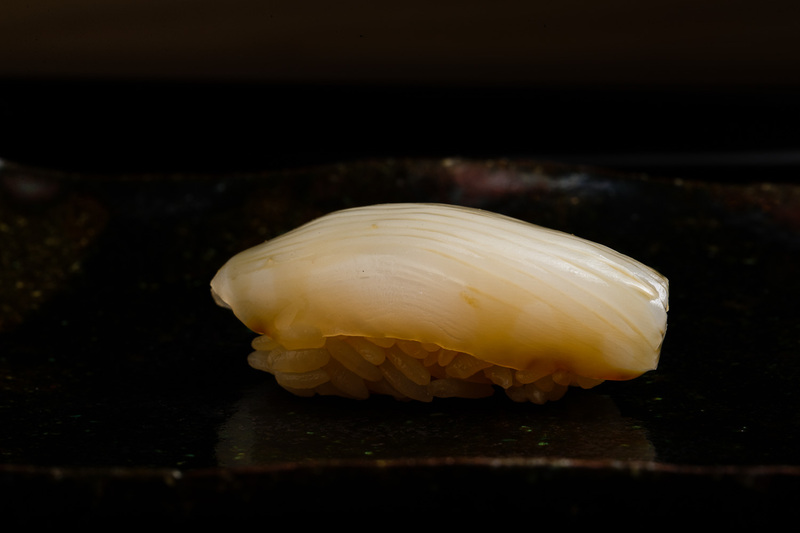 For the shari, he uses aged koshihikari rice, flavored using a blend of vinegars. He stocks about 10 different variations of sake, mainly junmai grade with lighter notes. He also likes to offer a selection of Champagnes. Oga was born in 1987 in Osaka as the fourth-generation son of Yasuke. While he made his way to university, he enjoyed working at restaurants on the side that he left his studies midway to focus on a culinary career. 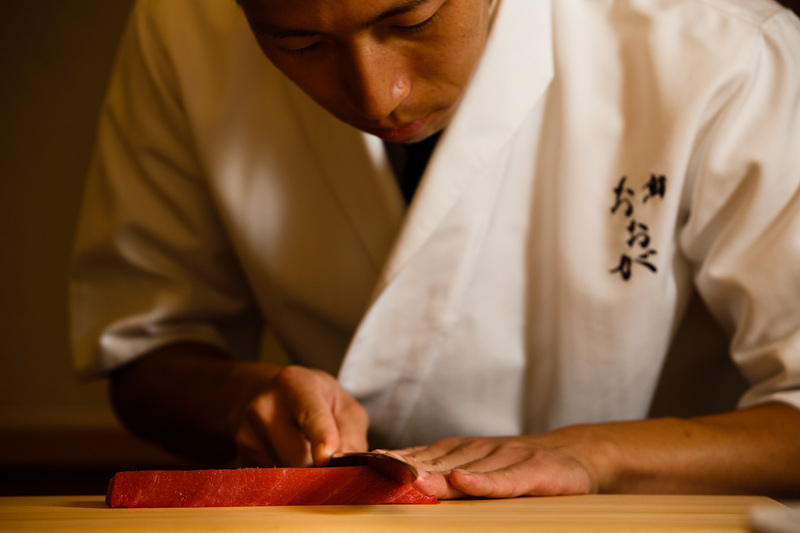 While his heart was set on sushi, he felt the need to master the basics of Japanese cuisine first. He moved to Tokyo to start training with a famous Japanese restaurant in Ginza. He then studied with a chef in Fukushima, and another in southern Osaka. 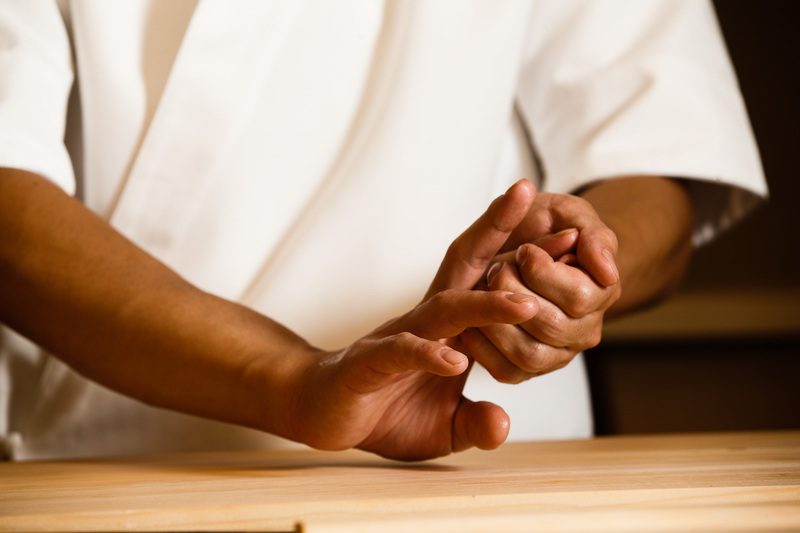 Finally, he began his apprenticeship in sushi at Tada in Kitashinchi before returning to his family restaurant. He worked under his father for the next four years before taking on the restaurant as the head chef. His father was 61 years old then. Then in 2017, he came across a life-changing experience when he had a taste of the sushi at Sushi Arai in Ginza. It was there he first ate the tuna from Yamayuki and was astonished by its divine flavor. He immediately felt this unbearable desire to want to procure such high quality fish. This led him to think about opening his own restaurant that he would build to be recognized by Japan’s top vendors. He opened Sushi Oga in 2018. On days off, the young chef likes to go and eat out. Not limited to sushi, he is keen to try out cuisines of all sorts, to help find new inspirations. His newly opened restaurant is at top of Oga’s mind. He wants to focus on every aspect of the restaurant to secure a steady stream of customers. Despite his young age, he always has his staff and apprentices in mind, to make sure that they have the best learning experience working with him. He also feels he needs to live up to the reputation as the fourth-generation son of Yasuke. 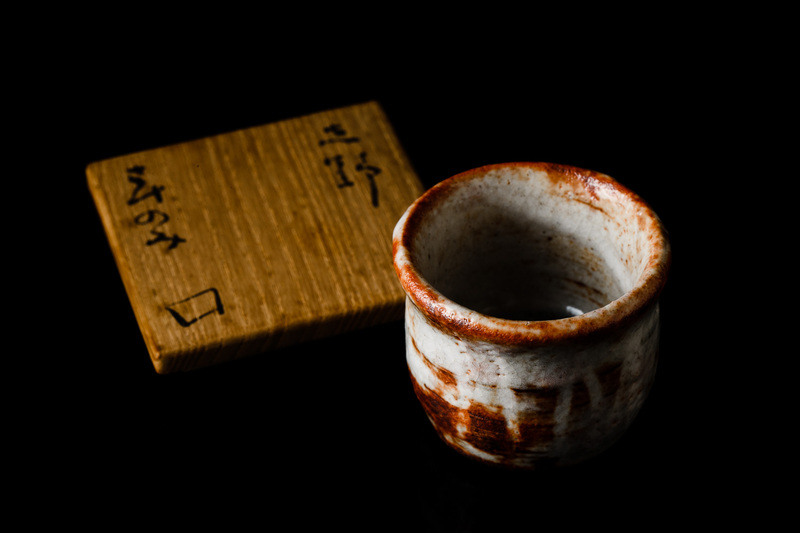 The Oga family, especially Oga’s father, has been a dedicated collector of antique ceramics including some rare Shino ware and works by Kitaoji Rosanjin. Most of the collection is stored above his father’s restaurant across the street, where the son often visits to select from the assortment of beautiful plates and sakeware. If you look around Sushi Oga, you can spot beautiful flower vases as well, also from the family’s curated collection.